The Killing is a high paced, action packed, doozy of a show that will have you on the edge of your seat for the entire duration of each episode. The amount of twists and turns throughout the four seasons it aired will make your head spin. Based on the Danish series titled Forbrydelsen which translates to “The Crime”, The Killing takes on a different approach to police procedural shows. Shows such as Criminal Minds and CSI are set up in a way where each episode begins with a new case and ends with the same case being solved and wrapped up with a neat little bow. On the flip side, The Killing took two whole seasons to wrap up the Rosie Larson case. Having more time looking in on the lives of the family of the victim and even the cops working on the case gives the audience a better relationship with the characters. It is very important for people to somehow connect to the characters, otherwise they probably won't continue to watch the show. Television is all about relatable characters, and The Killing did a marvelous job at achieving this. In the explosive season two finale, the most haunting question was finally answered: Who killed Rosie Larsen? The last few episodes of the second season mostly focused on Jamie’s story. He had been acting shady ever since Richmond started his campaign, but lately he seemed to be a desperate sort of shady. It was almost as if he was hiding something important from everybody. Although Jamie seemed to be a goodnatured nice guy, his facade was starting to crack, making Linden and Holder suspicious of him. The only thing keeping them back from accusing Jamie of murdering Rosie was the possibility that Gwen was involved. Once Linden and Holder found out what really happened in Tacoma between Richmond and Gwen, she had been looking all the more guilty. She lied to them and could easily do it again to cover herself up. Unfortunately, Gwen’s confession did not only have dire consequences for herself. It ultimately resulted in Richmond becoming a paraplegic. Everyone really thought this would hurt his campaign greatly, but he seemed to just pick back up after his initial despair. After letting Richmond go through so much, you would think that Jamie would be like, “Yeah… Darren, I gotta tell you something,” but did he? No. He just went on his merry way yelling at interns and trying desperately to mend the soiled reputation Richmond received when he was arrested. What a good friend. To save his own corrupted booty, he successfully avoided telling the police that he was involved in a conspiracy with Chief Jackson and the freaking Mayor to save Richmond's reputation. When Richmond was arrested and being questioned, Jamie's conscience did not make any appearance. But, that’s not all. Jamie is the entire reason for Rosie being killed in the first place. Since he was so terrified that Rosie would tell people about what she heard, he grabbed her and beat her to stop her from screaming. The question is: why was that even necessary? Even though she heard everything, there was no context and she didn’t even see who was at the meeting in the first place. So, basically Rosie was just in the wrong place at the wrong time and she crossed the wrong people. Messed up, right? But, that’s still not all! Jamie then proceeded to throw poor Rosie Larsen in his car and drive down to the gas station to go fill up. (I mean if you’re going to kill someone best do it on a full tank, right?) At the gas station, Rosie somehow managed to get out of the car without Jamie noticing until she was running away. Naturally, a full on chase ensued through the dark woods. As a snippet in the first episode of the first season had shown, Jamie catches up to Rosie eventually. He grabbed her, stuffed her back in the trunk of his car, and took off to his secret meeting. All bound up, she was sure not to escape this time, right? Unfortunately, that's right. Unlike many other cop shows, there was no last minute savior for Rosie. Jamie drove her down to the lake for his secret meeting with his buddy, the mayor, to try and figure out what to do about the girl. At the time Jamie called, the mayor was with Terry, so she sat in the car while they met. The mayor got all fussy and angry with Jamie saying how he didn't want to be part of this and how he was going to “get back with his wife," and OOPS Terry happened to be listening oh so nosily. This is where things got totally messed up and surprising. Terry got out of the car in an almost zombie-like state and pushed the car into the lake. Terry was the one who killed Rosie. How could she do that you ask? Well, apparently, she "didn't know!" Or, at least that's what she was yelling at Mitch and Stan when she was found out. She obviously felt bad for what she did, but that is still no excuse as to why she wasn't acting weird about it the whole first and second seasons. Stan, completely exploded, lunging at Terry in a frenzied anger. Holder needed to hold him back so he wouldn’t end up doing something that he would regret. He loved Rosie so much, and it must have really hurt to realize that he invited her killer into his own house on multiple occasions. All in all, it was an intense and highly emotional scene that was the perfect conclusion to an intense and highly emotional season. The ending was extremely satisfying to me because I didn't expect some of what actually happened. Usually I am pretty good at predicting the ending of movies and television shows, but I only guessed about half of the truth on this show. 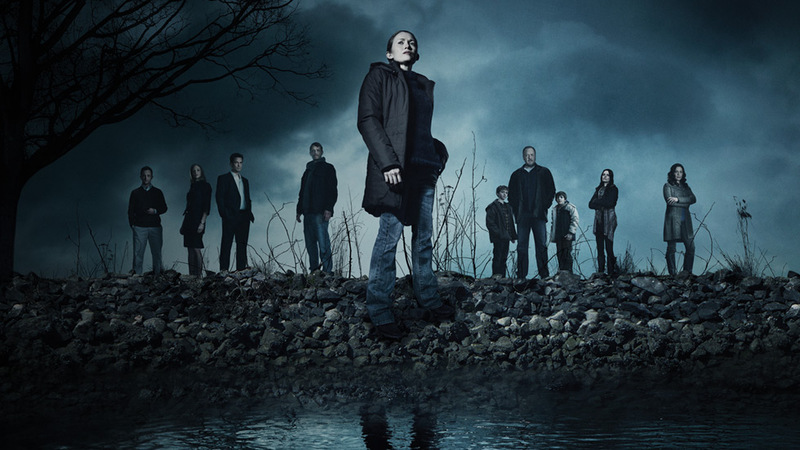 The Killing is a television show that is not afraid to get dark and raw which is a jarring parallel to real life. It truly takes into account the victim's family as well as focusing on the lives of the cops. Other police shows only display one side of a murder investigation and show the same stereotypical victim families, but The Killing incorporated both parties perfectly. The show treats the victim’s families as if they are real people who are grieving the loss of a loved one, as they should be. Their lives are just as important as the lives of the cops in telling the entire story. The Killing really brings in a refreshing quality to police shows everywhere.